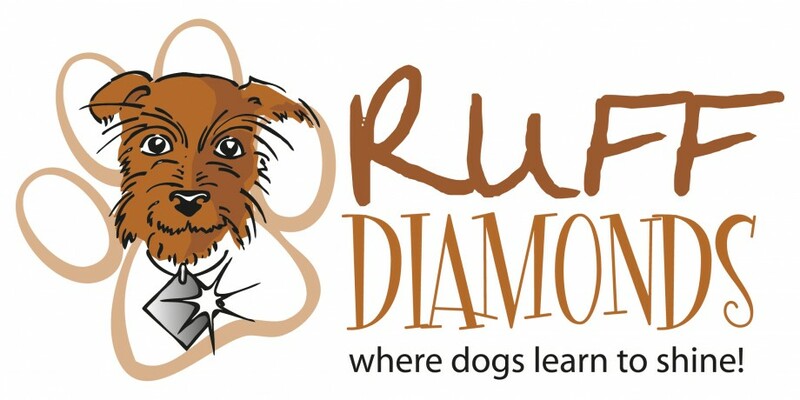 This is a follow-on course of six classes for those puppies and dogs that have completed the Ruff Cut Diamonds class or, if new to Ruff Diamonds, dogs at a similar stage in their training. It is very likely that the younger dogs in this class will be in or approaching adolescence and we will help you to understand why their behaviour may change and what you can do to help them through this life stage. These classes will build on the foundation skills learned previously, increasing the level of difficulty and, where possible, ‘taking it on the road’ for some real life practice. We will also start to develop impulse control and pay particular attention to developing a reliable recall. We will introduce new exercises and fun activities that will keep your dogs busy and interested, such as a heelwork routine, Rally Obedience and scent work. All classes will take place in the same relaxed and safe environment, in small groups. This entry was posted in Dog trainer, Dog training, Grantham and tagged advanced dog training, improver, improver dog trainer, improver dog training, train your dog, training your dog. Bookmark the permalink.